Photo credit: Adapted by WhoWhatWhy from Emilio Labrador / Flickr (CC BY 2.0), 591J / Wikimedia (CC BY-SA 4.0), and Boing Boing – CC BY-NC-SA 3.0. Note to Readers: Our recent 6,500-word exclusive on Donald Trump and Russia was, admittedly, long. But based on the tremendous response, you liked it a lot. We still weren’t able to fit in everything important, so in the coming days we’ll be publishing supplementary pieces with noteworthy material and additional reporting and analysis. Here is one such piece. WhoWhatWhy’s March 27 exclusive on Donald Trump, the FBI, Russia, and the mob focused on several key figures. One was Felix Sater, a Trump associate and prized FBI informant. We delved into his criminal past, his company, Bayrock, and its work with the Trump Organization. Sater was even more intimately involved with Trump and his fortunes than we initially realized. According to a sworn 2008 deposition in a suit Trump filed against the author Timothy O’Brien, the developer gave Sater’s company, Bayrock, an exclusive on all development deals in Russia. Sater expanded on the point of how central their relationship was. Sater had even proposed to take the Mar-a-Lago brand global, to pitch a “high-end resort situation.” He was going around the world selling Trump’s name while playing to Trump’s megalomaniacal instincts. 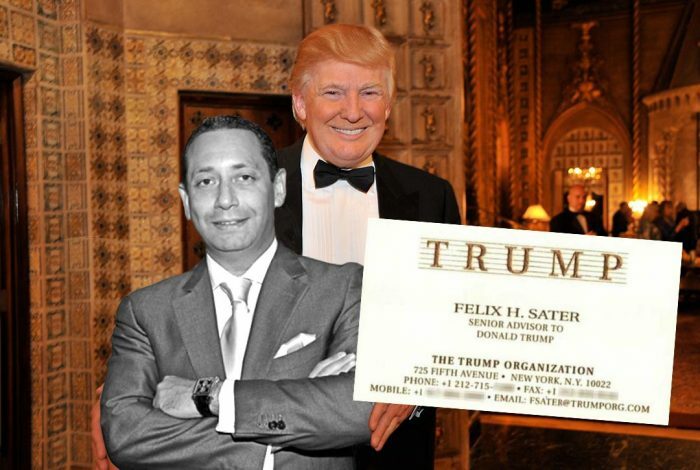 Because of his close relationship with Trump, understanding more about Sater may prove illuminating as the story continues to unfold. Let’s go back to the beginning for some background — as well as previously unreported information on figures at Sater’s first employer who later showed up in the recent Trump political orbit. Felix Sater was born in 1966 in what was then the Soviet Union. Sater’s father, who had been born in Kiev, Ukraine — then a republic of the Soviet Union — moved the family to Israel when Sater was a child. In the 1970s, the Saters emigrated to the United States and joined the expanding enclave of Russian-speaking immigrants in Brooklyn. Sater took some classes at Pace University, and from about the age of 20 he went to work at a series of brokerages, eventually landing at Gruntal & Co. in 1988. By the 1980s, the once-staid Gruntal was known for its “anything goes” atmosphere on the “shabby side of the street,” where the emphasis was on volume of sales rather than profits for customers, and punctuated by charges of racial and sexual harassment — an “Island of Misfit Toys” where no one seemed in control. Regulators nearly shut it down in 1995. “The culture at Gruntal was to push as much product as possible, whether the client makes money or not,” notes an unnamed former executive quoted in a 2003 Fortune profile of Gruntal by Richard Behar. Despite its less-than-sterling reputation, a number of future well-known financiers cycled through Gruntal. The future billionaire “activist investor” Carl Icahn (now President Trump’s special adviser on regulatory reform) created the options department at the firm in the late 1960s before its reputation took a turn for the worse in the 1970s. Here’s another Sater contemporary: Steven A. Cohen. He went to work for Gruntal straight out of college in 1978; Cohen became part of the options arbitrage department and was managing his own pool of funds by 1984, when he bragged about making $100,000 a day. Cohen — who is invariably described as “secretive” — finally left Gruntal in 1993 to found SAC Capital Management, going on to run what again was referred to as “a highly secretive and stupendously successful” group of hedge funds worth $4 billion by 2003. He became one of the wealthiest men on Wall Street, despite a later years-long effort by US Attorney Preet Bharara to make a case against him for alleged criminal insider trading. He was never charged with a crime, though SAC agreed to pay $1.8 billion in fines. We were intrigued by the connections between Kevin J. O’Connor and Cohen. Trump brought O’Connor, formerly Number 3 in George W. Bush’s Department of Justice (DOJ), onto his transition team to help oversee DOJ picks. He had worked for Trump supporter Rudy Giuliani’s law firm, Bracewell & Giuliani, and then, in 2015, began serving as Cohen’s own general counsel — a position he continued to hold during his transition advisory role about DOJ. With Cohen having cut a deal in 2013 with the DOJ, and with Trump bringing in Cohen’s guy for advice on picking prosecutors and then firing Cohen’s nemesis Bharara, it seems clear who has — thus far — won. By 2017, Feinberg was worth about $1.2 billion, according to Forbes, and Cerberus managed over $30 billion in assets. Feinberg, one of Trump’s largest campaign contributors, was a member of the economic advisory team during the transition, and early on he was tapped by Trump to lead a review of intelligence agencies, with the backing of advisors Steve Bannon and Jared Kushner, it was reported. That plan was later walked back; no reporting on the topic mentioned a possible connection to Felix Sater. According to Lauria, Sater flew into a sudden rage at comments made by a man at the bar about a woman, in a scene to which he would remain forever tied. He smashed a martini glass on the bar and shoved its stem into the man’s face, severing a nerve, resulting in injuries that required more than 100 stitches. For that crime, Sater not only spent a year in jail, but the National Association of Securities Dealers barred him for life from working as a broker or otherwise associating with firms that sell securities to the public. Yet by 1994, Sater, Lauria, Gennady Klotsman, and another Gruntal trader controlled the brokerage White Rock Partners and Company, which in 1995 changed its name to State Street Capital Markets Corporation. They brought in a number of traders who had worked at Gruntal as well as other, mobbed-up brokerages, including members and associates of four of the five major New York City organized crime families, such as the nephew of mobster Carmine “the Snake” Persico and the brother-in-law of Gambino hit man Sammy “the Bull” Gravano. Klotsman, like Sater, had been born in the Soviet Union and was connected to the Russian mob. White Rock existed only to defraud its customers. For the few years it was in existence, its illegal profits reached an astounding $40 million to $60 million and it fleeced thousands (some of whom were Holocaust survivors). The scams centered around “pump and dump” schemes: artificially inflating the price of stocks, selling them to unsophisticated, often elderly, buyers — usually through cold calls and using high-pressure tactics — and then walking away with the commission. It did so by gaining control of certain “house stocks” and then hiking their prices through various illegal schemes, including paying off complicit brokerages to sell them, and then aggressively selling those stocks. There were also phony investment opportunities in companies whose shares White Rock insiders and other associates secretly controlled. Barred, unregistered, and non-compliant brokers, and brokers with long histories of complaints also found a home at White Rock. The principals then laundered the funds. One of White Rock/State Street’s scams was a phony investment scheme for a casino in Colorado near Black Hawk, about an hour west of Denver, associated with Country World Casinos, an over-the-counter stock based in Pennsylvania. State Street and affiliated brokerages touted the stock, while complicated shell companies shuffled the funds back to the principals. In 1999, Country World roped in Max Baer, Jr., who played “Jethro” on “The Beverly Hillbillies,” in an agreement to create “Jethro’s Beverly Hillbillies Mansion and Casino;” Baer had long nurtured hopes of founding a chain of casinos after he had secured a licence to use the Beverly Hillbillies name. The casino never happened, of course. Another company, Holly Products, bought a small electronics manufacturer and moved it to a Navajo reservation near Shiprock, New Mexico; tribal officials contributed the collateral so that the company could obtain a loan to renovate a manufacturing site there. The tribe lost the collateral — $600,000 — when the factory closed. Frank Coppa Sr., identified by the government as a captain of the Bonanno organized crime family, owned Holly Products. 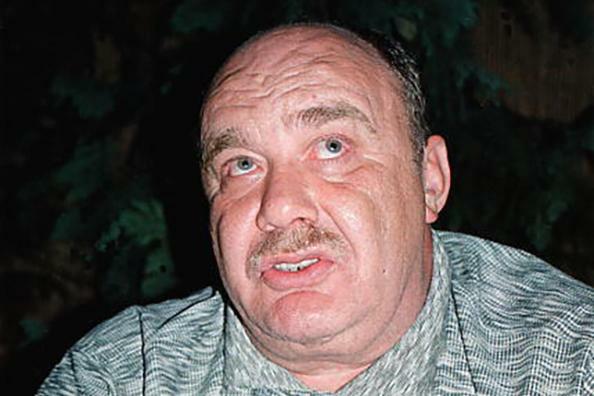 Alleged Russian organized crime boss Semion Mogilevich. White Rock’s rise very much coincides with the arrival in the US in 1992 of Vyacheslav “Yaponchik” Ivankov, an associate of Russian boss Semion Mogilevich. Ivankov promptly went to work brutally organizing the Russian mob in the US. Soon he launched a number of complicated large-scale money laundering operations. When the Feds finally tracked Ivankov down (after he skipped out of his Trump Tower pad and abandoned his haunts at the Trump Taj Mahal in Atlantic City), the Feds arrested him in an early morning raid in Brooklyn in 1995. By 1996, the Feds had begun to close in on State Street. According to court documents, State Street stopped operating that year, and Sater and Lauria left the country. 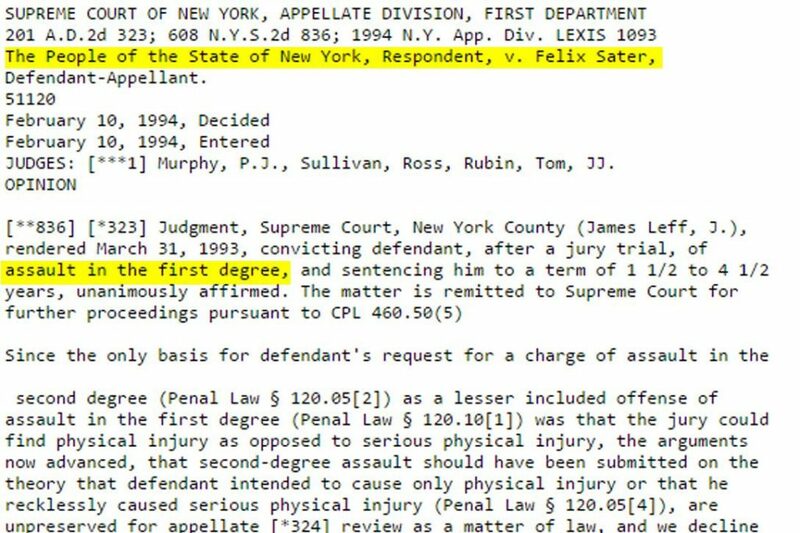 Eventually, Sater, Lauria, and Klotsman signed agreements to serve as “cooperating witnesses” against the 19 other defendants; Sater signed his agreement in December 1998. Sater never served any time, nor was he forced to pay any restitution to his victims, as his cooperation agreement mandated: $60 million. Just a few years later, Sater was working at the real estate firm Bayrock, in Trump Tower, a floor below the Trump Organization, making deals with Donald Trump himself. A request to Sater’s attorney for an interview received no reply by publication time. Related front page panorama photo credit: Adapted by WhoWhatWhy from Felix Sater (Mark Von Holden / WireImage), Sater Business card (Boing Boing – CC BY-NC-SA 3.0) and Trump Soho (Juan Ramos / Flickr – CC BY-NC 2.0).